The FINRA Securities Industry Essentials exam (SIE) is an introductory-level exam that tests candidate’s knowledge on basic securities industry concepts. Effective October 1, 2018, the SIE exam is a corequisite to all representative-level exams, which have been revised by FINRA. Candidates must pass the SIE along with a representative-level exam, Series 6 or Series 7, to become a registered securities industry professional. 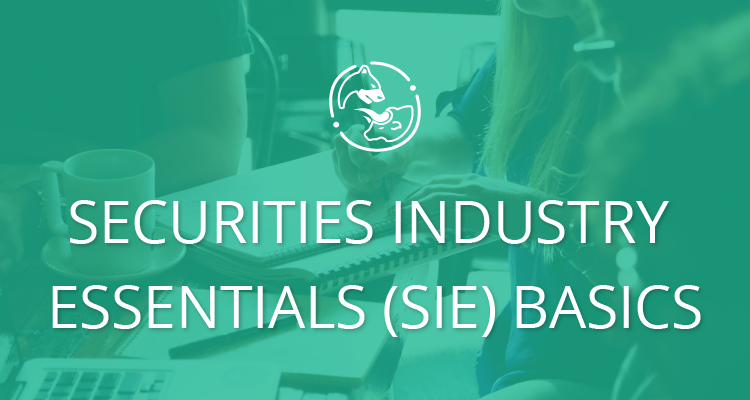 The knowledge required to pass the SIE exam includes basic characteristics of securities markets, stocks, bonds, options, investment company products, pooled investments, the economy, customer accounts, trading orders, suitability, and prohibited practices. The content includes but is not limited to rules and regulations under The Securities Act of 1933, The Securities Exchange Act of 1934, The Investment Company Act of 1940 and The Investment Adviser Act of 1940. The FINRA SIE content outline provides a comprehensive list of testable topics and can be found at www.finra.orf/industry/essentials-exam. The A.D. Banker SIE study course includes all testable information from the content outline. The exam is divided into four sections, as shown below, along with the percentage of each section’s representation in the overall examination. The SIE exam is comprised of 85 multiple-choice questions, of which 75 questions are scorable. These 10 additional questions are unidentified “pretest” questions that must meet acceptable standards prior to being added to the pool of scorable items. Candidates will be given 1 hour and 45 minutes to complete the exam and must correctly answer 70% of the 75 scorable questions to pass. To prepare for the SIE exam, you should take a preparation course. A.D. Banker & Company offers online courses, web classes, practice exams, and self-study books for the Securities Industry Essentials (SIE), Series 6, Series 63, and Series 65 exams. You can view the educational packages that we have available under the Exam Prep menu of our website, www.adbanker.com.